Show Racism the Red Card held a successful event to commemorate Holocaust Memorial Day with 60 year nine students from Berwick Academy. The day started with a personal testimony from Jess Smith, a well known author from a Scottish traveller background. Jess talked about how prejudice against gypsies and travellers had impacted on her from an early age, having been kicked off a swing by some young men when she was just three years old. She also talked about the need to question the world and read a beautiful poem about the positive aspects of her cultural identity as a child, which she wrote in response to an incident when a young girl refused to sit next to her on the bus. After a brief pause for refreshments, the young people separated into two groups and took part in educational workshops with the Show Racism the Red Card North East education team. Students were asked to explore concepts such as stereotypes, scapegoating, prejudice, discrimination, hate crime and extermination through small-group activities. The first activity, My New Neighbour, encouraged the young people to explore their own prejudices by deciding who they would most and least like to live next door to. The young people then went on to explore the Pyramid of Hate, with particular examples highlighting the oppression faced by gypsies and travellers. The young people finished the workshop by writing down their own personal pledge about what action they would take after the day. The day ended with a question and answer panel with Jess Smith and two of our education workers. 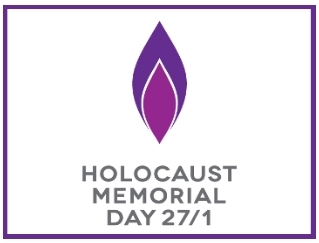 The Holocaust Memorial Day candle was lit and a minutes silence held during which everyone was asked to reflect on the atrocities of the Holocaust and other comparable genocides around the world and how it relates to now. All in all the day was a tremendous success. A few students came to talk to us at the end to say how inspiring they had found Jess’ contribution and the day in general.